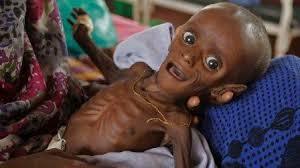 Some diseases caused by malnutrition are marasmus, kwashiorkor, anaemia, night blindness, scurvy, rickets and goitre. Marasmus is protein-energy malnutrition (PEM). It makes people lean and thin because of the lack of enough food and essential nutrients (both carbohydrates and protein) for a long time. The skin of children wrinkles due to the loss of fat. 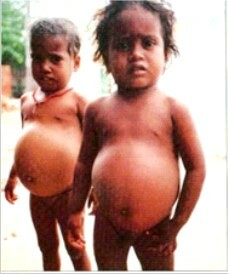 Kwashiorkor is a disease caused by the deficiency of protein. Children are mainly suffered from it who lack enough protein after terminating the breast-feeding. It is called kwashiorkor because the term kwashiorkor denotes the disease of children removed from the lap of the mother. Provide homemade food and seasonal fruits instead of expensive instant food with thelaw nutritive value. Lack of haemoglobin and red blood cells (RBC) causes anaemia. Mostly, children and pregnant women suffer from it. 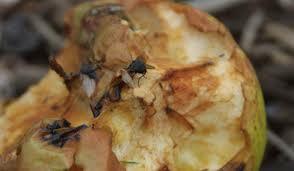 Lack of iron and vitamin in the food as well as worms like hookworm and roundworm can also cause it. Provide food rich in iron such as liver, meat, fish, egg, pulse, beans, etc. to the patients. Provide food rich in vitamin C like Amala, guava, lemon and orange to the patients. Not walking onbarefoot to avoid hookworm. Lack of vitamin A causes night blindness. If the mother lacks vitamin A in her food during her pregnancy, her child also suffers from this disease. Mainly, under 5 years old children and pregnant woman suffer from this disease. Provide oral doses of vitamin A capsules. Provide foods rich in vitamin A such as green vegetables, pumpkin, carrots, eggs, milk, fish, butter and fruits like papaya, mango, orange, etc. Scurvy is a disease caused by the deficiency of vitamin C. People of any age can suffer from this disease. 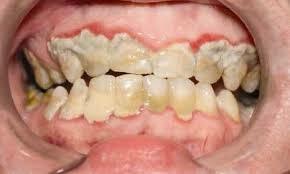 This disease mainly affects on gum and cause inflammation and bleeding. Do not overcook green vegetables to protect vitamin C.
Take vitamin C tablet to cure it. Deficiency of vitamin D in our food leads to rickets, which mainly suffers small children between the age of 6 months and two years. When the body lacks vitamin D, it cannot absorb the calcium and phosphorus which are necessary for the growth and development of bones and teeth. Include food materials rich in vitamin D like eggs, butter, fish, milk, fat, oil, liver, etc. Goitre is an unnecessary growth of thyroid gland, which appears in the neck. When our food lacks iodine, the gland enlarges to produce necessary thyroxin. As a result, neck grows large. Take enough food rich in iodine like sea fish, seaweeds, iodized salt, etc. If not treated timely, it needs surgical operation. Stop overcooked the green vegetables in oil or ghee. Rice should not be washed too much before cooking. The food should be cooked by covering it with a lid. Foods must not fry and put much spice. Wash vegetable before cutting it but do not wash after cutting into small pieces. Peel the potato very lightly. Do not use soda and colour unnecessarily as food additives. Unhygienic food is that which contains much sugar, salt, fat and oil, inedible chemicals. They cause the increase in the level of sugar and fat in the blood, fatness, high blood pressure, heart attacks, strokes, cancer, diabetes, etc. According to WHO, if we can increase the fruit and green vegetables on our food, 19 % of stomach and colon cancer can be controlled. Similarly, 31% heart diseases and 11% strokes can be prevented. The number of non-communicable diseases certainly increases in Nepal because of excessive production and use of unhygienic foods like noodles, Kurkure, biscuits, chocolates, etc. Marasmus is protein-energy malnutrition (PEM). Kwashiorkor is a disease caused by the deficiency of protein. Lack of haemoglobin and red blood cells (RBC) causes anaemia. Lack of vitamin A causes night blindness. Deficiency of vitamin D in our food leads to rickets, which mainly suffers small children between the age of 6 months and two years. Unhygienic food is that which contains much sugar, salt, fat and oil, inedible chemicals. Lack of enough iodine in our body causes goiter. Rickets is caused due to lack of vitamin-D, calcium and phosphorus in our body. Lack of vitamin C causes scurvy. 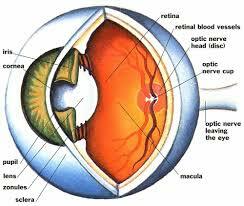 Night blindness is caused due to the lack of vitamin A. What is meant by anemia? 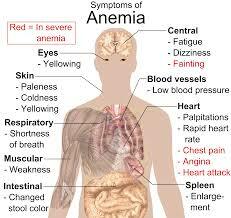 Anemia is the condition of health in which there are few red blood cells in our body, caused by lack of iron. What is main method to prevent anemia? The use of vegetables and fruits that are rich in iron and folic acid is the main method of prevent anemia. What kinds of malnutrition are marasmus and kwashiorkor? What are their symptoms and preventive measures? Marasmus is protein-energy malnutrition. This is caused in children due to acute shortage of essential carbohydrate and protein. Kwashiorkor is caused in children deposed from mother's milk due to acute shortage of protein. What is the full form of PEM? Lack of haemoglobin and red blood cells (RBC) causes ______. Deficiency of vitamin D in our food leads to ______. Lack of vitamin A causes ______. Scurvy mainly affects on ______. Any Questions on 'Some Diseases Caused by Malnutrition '?